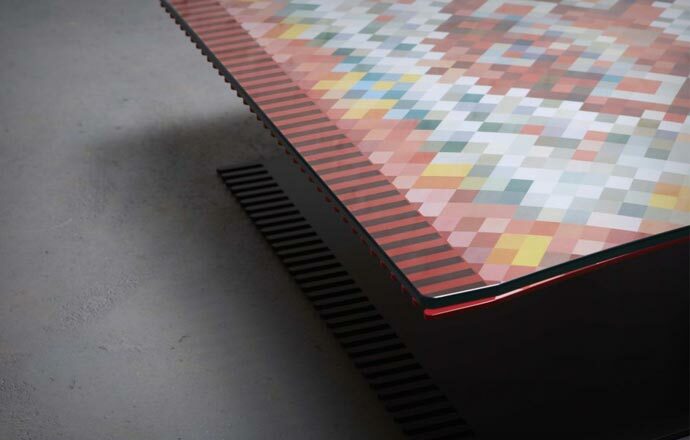 Fairy tales are rarely used for inspiration in contemporary furniture design. Unless you are Christopher Duffy, a design graduate from the University of Brighton and the brainchild behind design studio Duffy London. 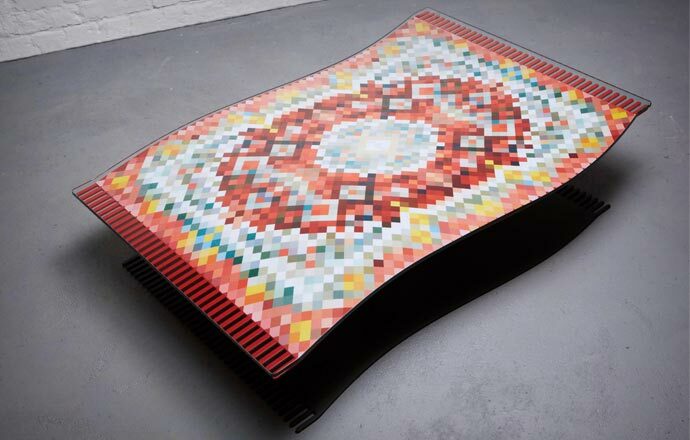 One of his latest design successes is the Flying Carpet Coffee Table, inspired by ‘Aladdin’ and his magic carpet. 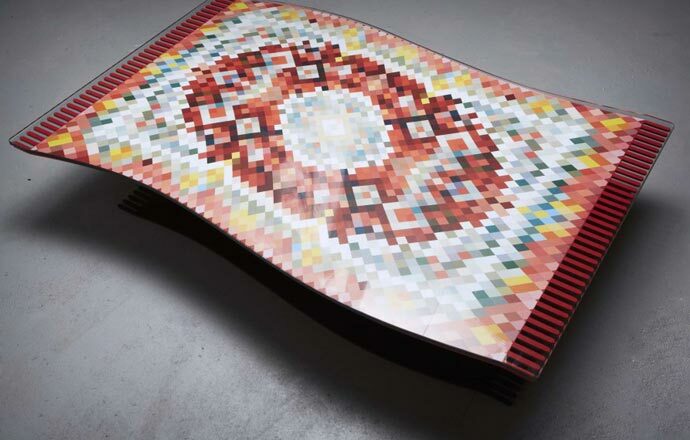 The table is toying with the concepts of gravity, geometry and illusion since, at first glance, it seems as if it is floating mid-air thanks to its digitally-printed pixelated top resembling a Persian rug, and a faux-shadow base. 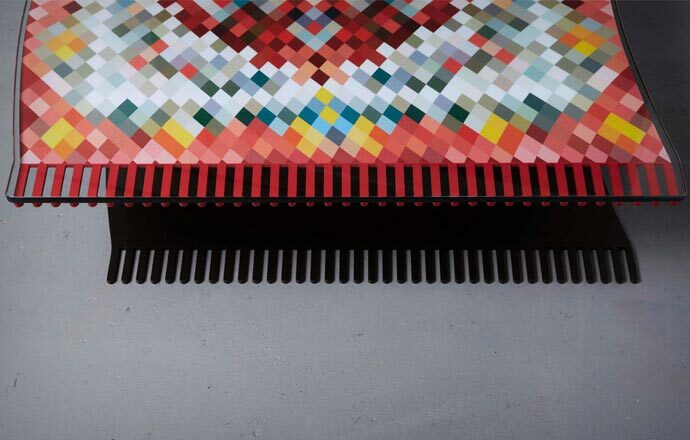 The designer explains: „The illusion is created by mounting the steel rug on a hidden 5cm-wide cantilever at the centre of the table. A shadow base makes it appear as though it is floating. 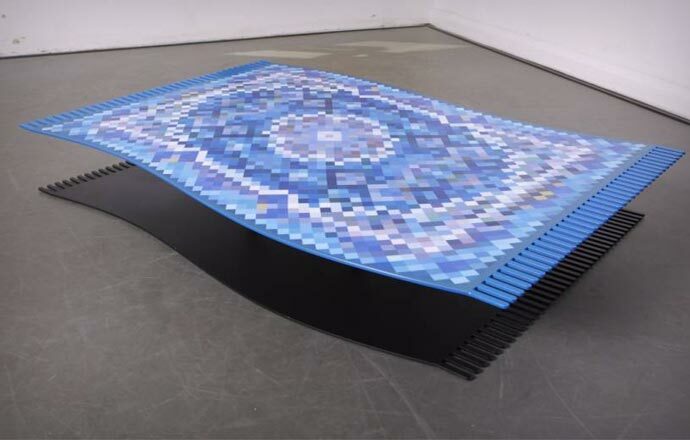 It also has a wave-like surface to add to the illusion of a magic carpet moving in its stationary position.” Only when you lie down next to it, you will be able to figure out how it really works. 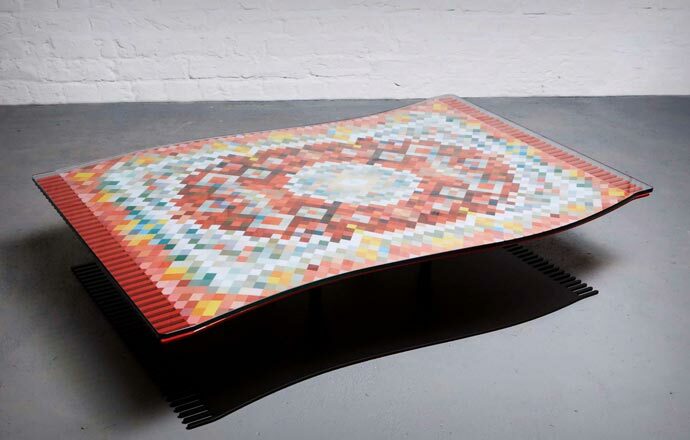 The Flying Carpet coffee table is made from powder coated mild steel, and is available in bespoke designs and colours. It also comes in two sizes – normal (dimensions: (H) 23cm (L) 120cm (D) 80cm) and extra large ((H) 35cm (L) 180cm (D) 120cm). Another thing worth mentioning is that Duffy London has a strong environmental awareness, so every product they design and make is made from sustainable wood and eco-friendly raw materials. So, if you want to give your grandmother a surprise of a lifetime when she pops in for the afternoon tea, the Flying Carpet Coffee Table is all you need.